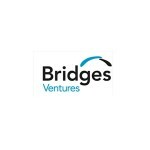 Bridges Ventures, which manages several community development venture capital funds that are members of CDVCA, has closed on a real estate investment fund, Bridges Property Alternatives Fund III, with equity commitments of £212m – ahead of its original £200m target. The fund will focus on investments in low-income communities in the UK. This is the largest fund the firm has raised for any investment strategy to date. The Fund invests in direct property and property-backed businesses, focusing on regeneration areas, buildings showing environmental leadership, and niche sectors being affected by changing demographics and consumer needs – including healthcare, education, SME business space and affordable residential accommodation. Since its first close on more than £120m of equity commitments in April 2014, the Fund has successfully completed six deals in less than a year. Following these deals, about 40% of the Fund’s capital has already been invested and committed.